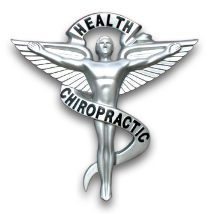 Dr. Fred Jones established Sunrise Chiropractic & Wellness Office in 1987. Located in the heart of Merrick, the office features state-of-the-art equipment, treatment stations, massage therapy and wellness coaching. The facility provides a comfortable and relaxed atmosphere, flexible scheduling, and a staff that truly cares about your well-being. Unlike conventional medicine, which focuses on attempting to treat disease once it occurs, Sunrise Chiropractic & Wellness Office emphasizes the importance of improving your overall health in an effort to reduce the risk of pain and illness in the first place. Many people are recognizing the benefit of seeking an integrative approach to medicine; one that will help you achieve and maintain optimal health. Take the time to meet Dr. Jones and his wellness network dedicated to helping you achieve those health objectives. As a patient at Sunrise Chiropractic & Wellness Office, you will receive personalized treatment with a program specifically targeted to your wellness needs.